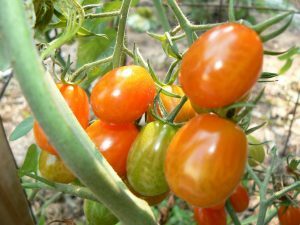 Home › Blog Topics › Professional Development: Do-It-Yourself Style! Great professional development makes the recipients feel engaged, energized, and ready to take something they’ve learned and apply it to their practice as soon as possible. As someone who’s been through a lot of professional development conferences, meetings, classes, workshops, gatherings, etc., I have found that some of the best, most practical and useful professional development opportunities I’ve taken part in have usually been created by the folks who are “in the trenches” — other librarians and classroom teachers. While it’s nice to have big-picture inspirational talks from folks like Alan November or Jaime Casap, it’s the hands-on, practical tips and tricks that actually make your life easier. So where can you find great opportunities to get straight-forward, practical ideas from people doing what you do? You can make your own! In addition to being a teacher and future librarian, I’m also an avid do-it-yourself-er. I enjoy finding solutions to problems and making things a little better than they were (which is probably why I’m a teacher and future librarian!). As I was pondering a house project the other day, my thoughts were interrupted by a school email, and I suddenly found myself thinking about how often I unite my DIY side and my professional development side to take advantage of the learning opportunities that I want and need, rather than just going along with whatever is being pushed in my general direction. And these days, it’s easier than ever to create and coordinate highly personalized professional development. Plus, professional development can be fun! So let’s chat about a few possibilities for DIY professional development that can help make your practice better, and your day brighter! I took part in my first School Library Bus Tour in October of 2017. It was organized by one of my library school professors, Dr. Joyce Valenza, and members of the New Jersey Association of School Librarians (NJASL), particularly Lisa Manganello. It is sponsored by Rutgers and NJASL, along with the leadership of the South Brunswick School District. This event, heading into its third year this fall, encourages school librarians, school library students, administrators, and other interested parties to visit working school libraries during the school day. Participating librarians provide a tour of their facilities and their processes. Although it takes some planning and cooperation, everything is free. Despite the name, there isn’t a bus; those interested in visiting one of the volunteering school libraries sign up for a particular day and time to let the school librarians know to expect company, then visitors deliver themselves to the school of interest. I was able to visit five different schools’ libraries throughout the day for about an hour each, and I was blown away by the variety of spaces and programs I was able to learn about! Although I am currently a library student, I’ve been teaching for quite a while in my current school, so I am well acquainted with what my school’s library offers. I found the entire experience wonderful! Seeing a wide variety of spaces and programs and how different librarians adapted to challenges, both routine and specific, was a great way to break free of the perceptual “box” I was in from only working with the libraries and librarians in my specific school and district. I came back from the experience with so many different ideas! Some I worked with my school librarian to implement immediately, and others I hope to put into practice as a librarian in the not-too-distant future. For this coming fall, Dr. Valenza and Mrs. Manganello have 10 school libraries already signed up to offer tours to those who are interested. You can see who’s involved and sign up for tours at the School Library “Bus Tour” website: https://www.smore.com/vq6jj. Although an event like this takes time and planning, there is no financial cost–the people involved are volunteering their time, effort, and libraries in order to provide a better library experience for all! I would strongly encourage anyone in New Jersey to take advantage of an opportunity like this; but it would also be possible for folks to flatter-by-imitation and set up a similar system in other places. Librarians willing to donate a day to giving tours can tell their administrators what a great opportunity it is to show off the library program and to learn from neighboring districts. What administrator isn’t interested in making their school look good at zero cost? You can also get some insight into the “Bus Tour” concept by checking out Dr. Valenza’s blog post, “Our ‘bus tour’ experiment” over at her Neverending Search column on the School Library Journal’s website. If you haven’t been to an Edcamp, you need to go! These free day-long events bill themselves as “the un-conference”; other than a very broad general topic, they are unscripted. When participants arrive in the morning, they are encouraged to sign up to give presentations and moderate discussions that are of interest to them. This is organic professional development; education professionals show up to learn from each other and to talk about issues that matter to them. And because all of the presenters are the participants, they’re free! Since I learned about Edcamps a few years back, I have made it a point to attend as many as I can. I have never come away from an Edcamp without having learned something I could apply directly to my practice. I also get a kick out of sharing my knowledge with others at Edcamps; I try to offer at least one presentation on fabulous uses for educational technologies. One of the things that makes an Edcamp so great is that it draws educators from multiple schools and districts. And because they are offered on weekends or school breaks, the attendees are the folks who are really interested in making a difference in education. You can’t ask for a better crowd for a professional development opportunity! 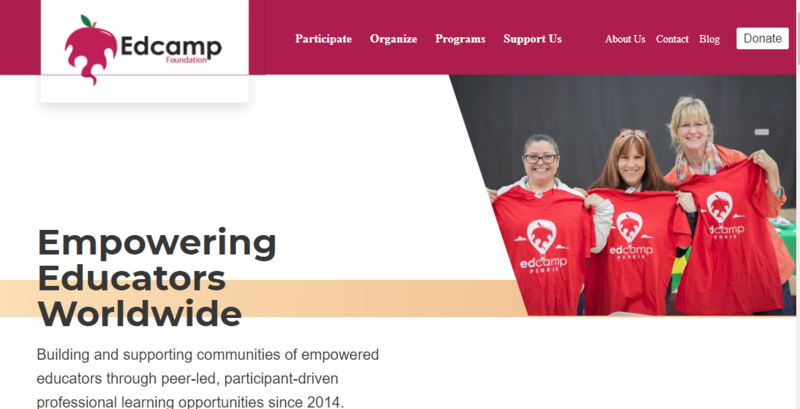 You can learn more about the Edcamp Foundation via their website https://www.edcamp.org/, where you can also see upcoming Edcamps, find out how to organize your own! Sometimes your best resources are right in your own backyard! I happen to work in a district with lots of talented, passionate educators who are extremely well-versed in some interesting topics. My local professional development committee was wise enough to realize this and harness all the knowledge and wisdom to help create a wonderful series of professional development opportunities. Any teacher can offer to present a class, and if there’s enough interest from other faculty members, the classes are given the go-ahead. Sometimes particular individuals are sought out and asked to present on a topic they are known to have some mastery of. For example, when we changed our grading program a few years back, there were a few folks who had a lot of trouble getting used to the “new and improved” software. An administrator approached several teachers who were known to be proficient with the new technology and asked them to offer some classes for their colleagues. The class instructors were paid for their time, and the class participants got some necessary professional development for free from people they knew and could find again later if they had additional questions. The district saved a ton of money over having to hire an outside presenter. Everybody won! But home-grown professional development doesn’t have to be strictly about technology or pedagogy (though those are both great topics). For the past few years, one of our high school physical education teachers has been offering yoga and mindfulness workshops to teachers. These are some of the most heavily attended and highest-rated workshops in the district! While those lessons can, and do, inform educational practice, they are also extremely enjoyable and stress-relieving for the participants. And isn’t that what professional development should be about? 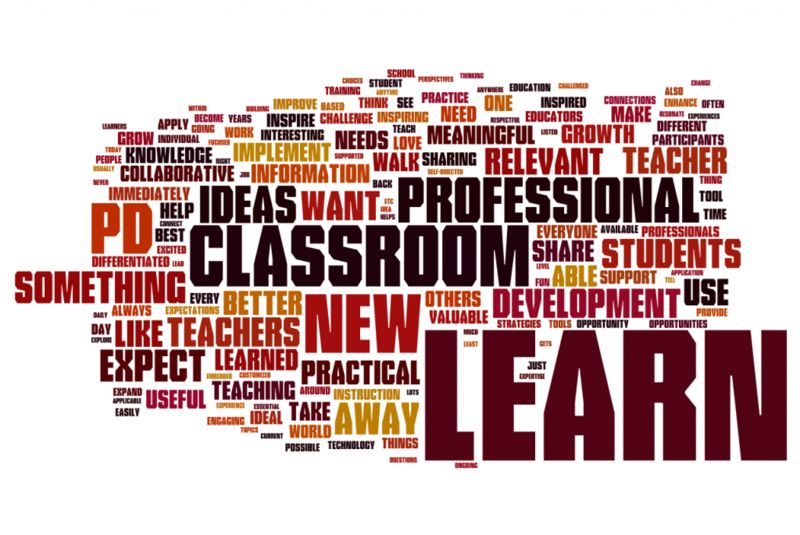 ‹ Is a School-wide Research Model for You?